Barb is my spiritual advisor when it comes to decorating and crafts. One Christmas she drove 20 miles to give me advice on decorating my house for Christmas. 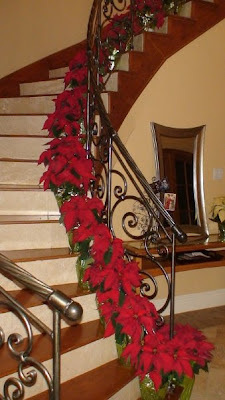 We went with a poinsettia staircase to rave reviews. 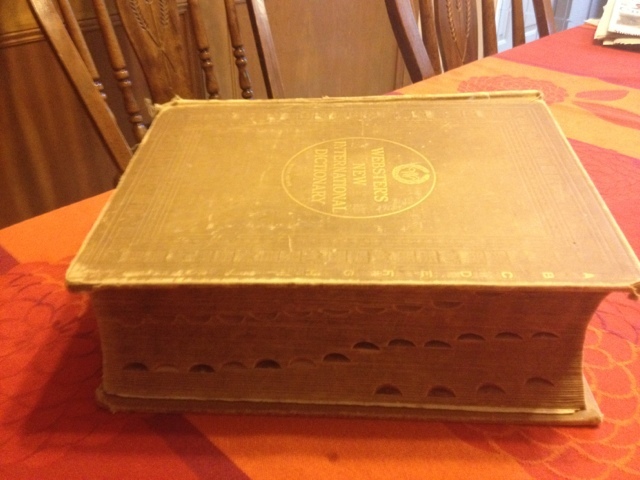 This is the vintage dictionary that Barb bought for 99 cents on eBay. Barb is the reason God created eBay. Look how thick that puppy is! That's a LOT of dictionary pages. 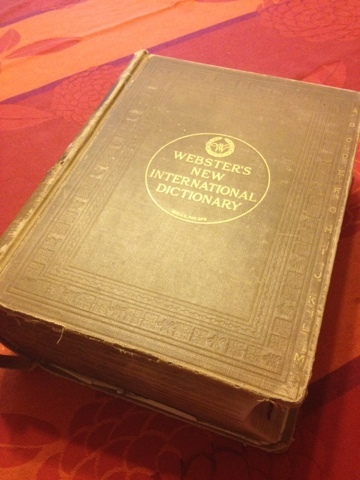 I love dictionary pages. Barb loves dictionary pages. We are sympatico. If we were on Pinterest, we would follow each other. Wait, we are on Pinterest and we do follow each other. Barb is the reason God created Pinterest. Barb does not fold dictionary pages; she wallpapers with them. Here is Barb's bathroom. 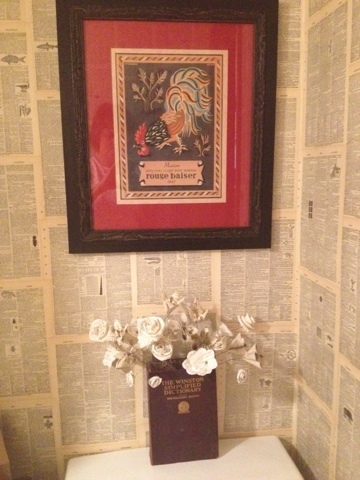 Barb carefully cut each of those dictionary pages to size and then Mod Podged them onto her bathroom walls. Barb has created my dream bathroom. 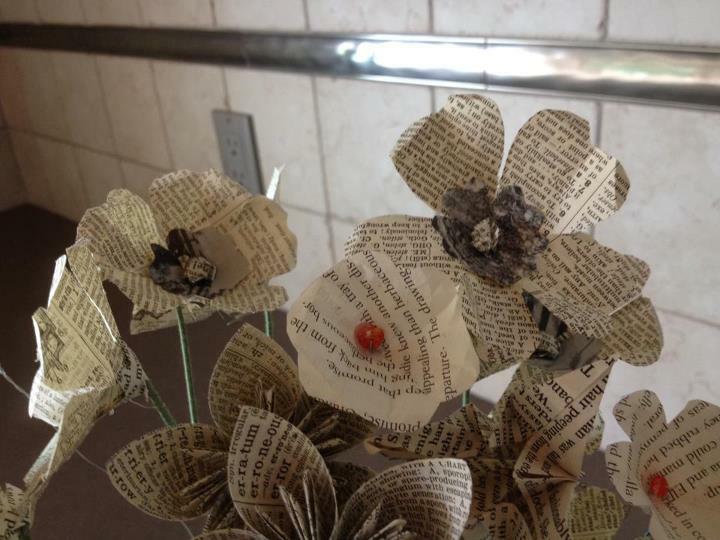 This is the bouquet I (finally) made for Barb for helping me decorate my house that Christmas. I made the vase from a copy of The Winston Simplified Dictionary that I found in an antique store. ﻿It was a win-win. 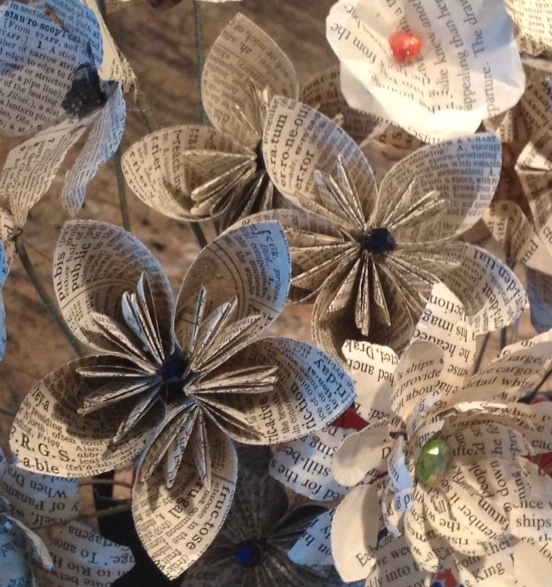 Barb got the bouquet and I got the dictionary pages. I love to make flowers from dictionary pages. 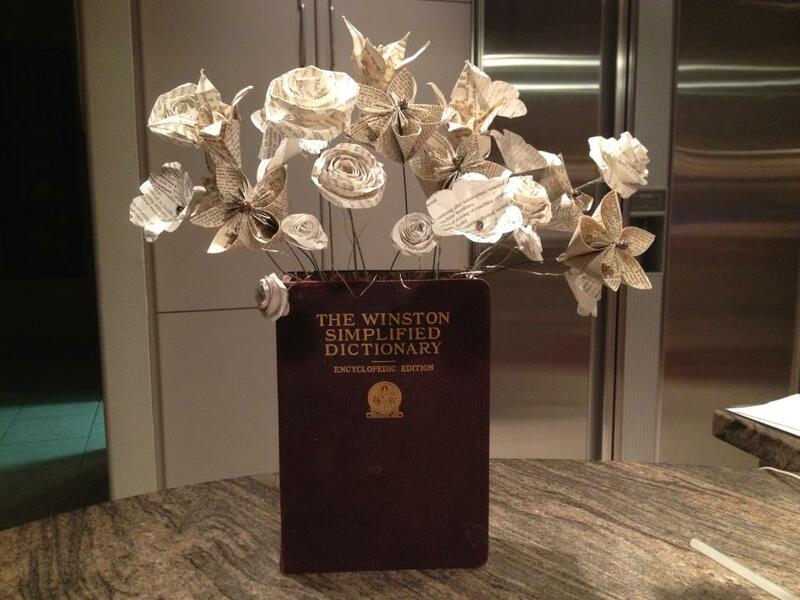 Here are the flowers I made from The Winston Simplified Dictionary. Here are some dark-centered flowers I made from Barb's gigantic dictionary. See how the small, tight font of the dictionary flowers plays against the more generous font of other books? That is why I love dictionary pages. 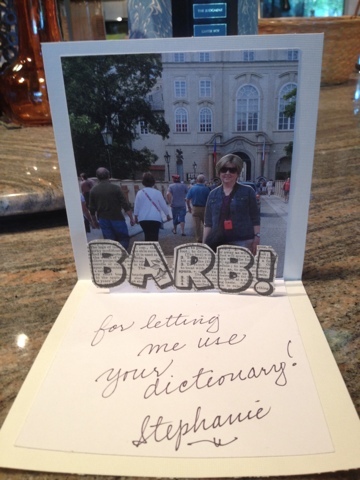 And here is Barb in a scene from her recent European vacation reimagined as a pop-up card. freaking brilliant!!!! both of you! 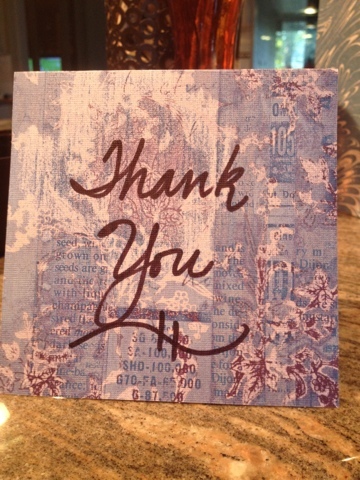 Thank YOU, Stephanie! There is nothing I would rather do than spend someone else's money decorating for Christmas, or any occasion for that matter. I'm game when you're game. 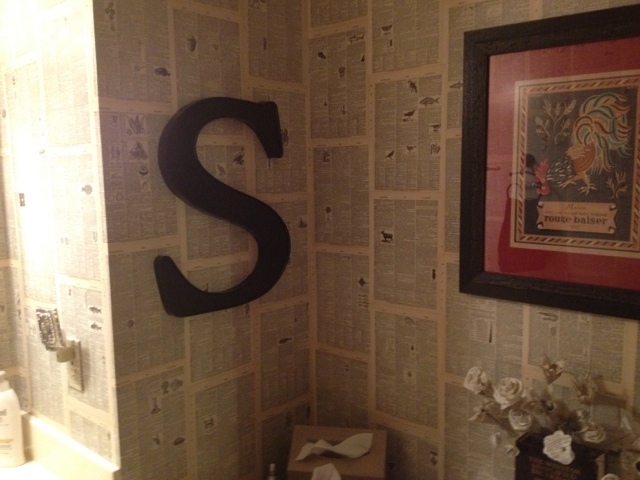 And speaking of games, don't forget the benefits of a dictionary bathroom while playing Scrabble!